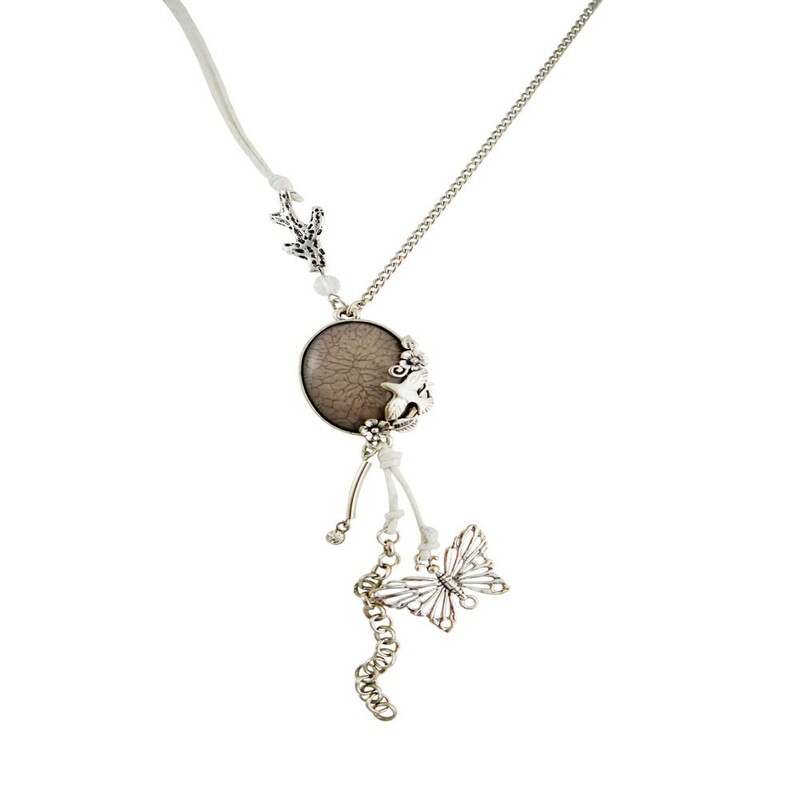 A beautiful silver tone Bird and Butterfly Charm necklace. 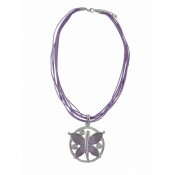 This necklace features detailed butterfly and organic floral charms flitting around a brown gem. 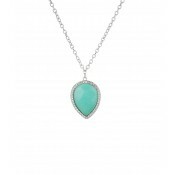 This unique piece is an essential addition to your collection.